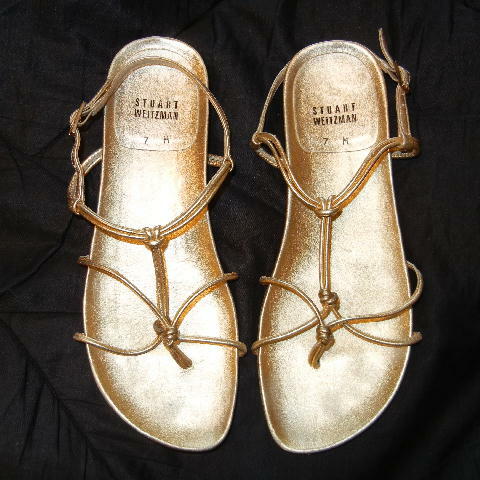 These gold lame leather strappy thong sandals are by Stuart Weitzman. 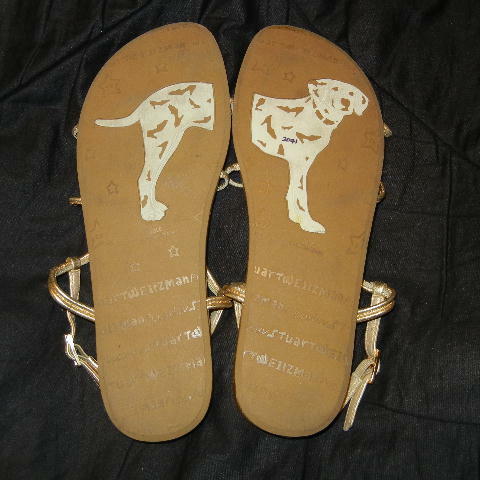 They have rubber soles made in Spain. 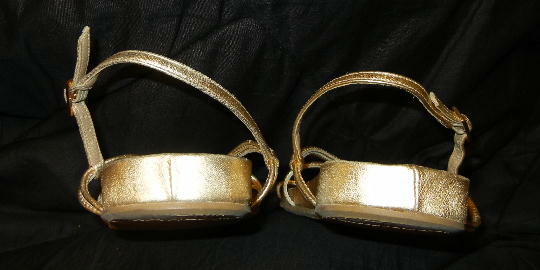 Some of the gold lame color is worn off on some of the toe imprint areas and the top front edges, giving it a light silver appearance. 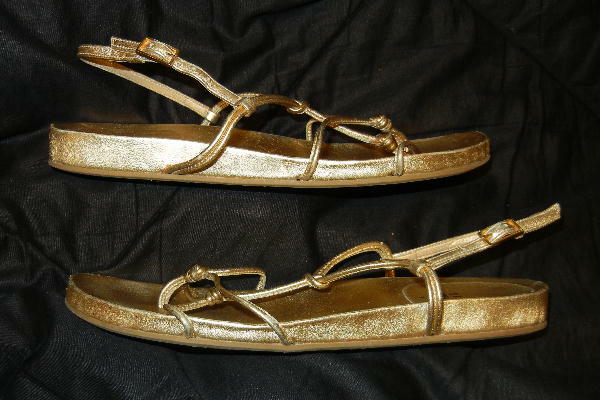 The left shoe has a small ding near the big toe area as the gold lame meets the rubber sole. The light areas on the edges of the shoes in the second, third, and fifth pictures are just glare. They're from a stylist's inventory, and were worn in several magazine photo shoots. 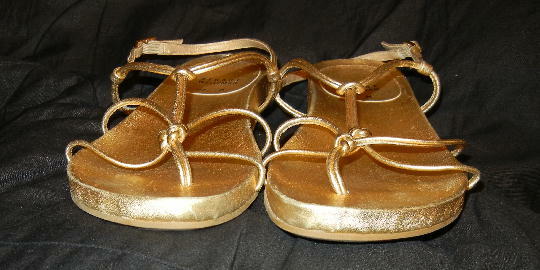 back gold lame leather 7/16"